Note: Research by J C Dean has unearthed B&T deposited plans from 1866 which show a station building on the east side of the double track railway with a signal cabin on the opposite platform. There were also sidings on the east side. 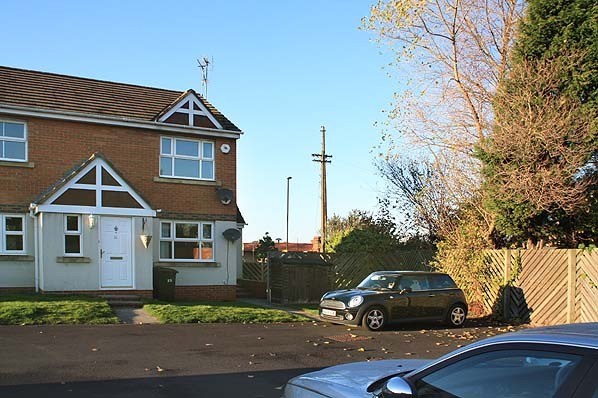 Monkseaton, which was to be known as the ‘Avenue Branch’, and that the line beyond to Tynemouth was half a mile inland of the present day Monkseaton – Tynemouth Metro line. 1863 Bradshaw from Alan Young, Blyth & Tyne timetable from CJ Dean. Route map drawn by Alan Young. Looking south-east across Hillheads Road from the site of the level crossing towards the site of Whitley station in November 2011. 1896 1:10560 OS Map. The first Whitley station opened in 1861 with the Blyth – Tynemouth line. At Whitley Junction (named near the north-west corner) the line to Newcastle (New Bridge Street) had opened on 27 June 1864, and on that date this station closed; Whitley (2nd) replaced it on a site closer to Whitley Junction. Curiously, neither station is shown on this map. At Whitley (1st) there appears to be a building south-west of the line, adjacent to the level crossing. 1897 1:2,500 OS Map. The 1882 diversion of the Newcastle (New Bridge Street) to Tynemouth route appears at the northern edge of this map. The earlier ‘inland’ route was closed at that time, but a short section of the original route was retained at its northern end, terminating just north of the site of Whitley (1st) with additional sidings provided. These sidings were in use until the late 1960s. 1919 1:2,500 OS Map. Further sidings have been added since 1897, with a depot adjoining Hillheads Road on the station site. By this date Whitley (2nd), later known as Monkseaton, had closed, and the present Monkseaton had replaced it. The sidings were in use until the late 1960s. Their site is now occupied by a Morrisons superstore. Looking north-west from the site of Whitley station in November 2011. 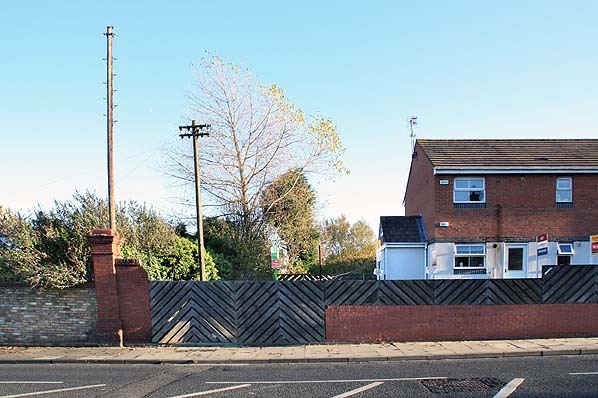 The site of the Hillheads road level crossing is the other side of the house. This aerial view shows the site of Whitley Junction (top left). 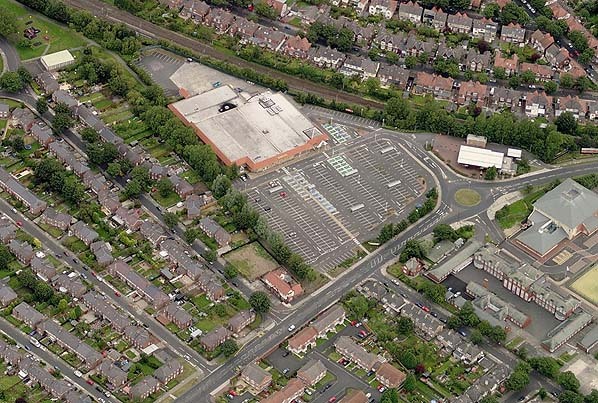 The line of trees to the left of Morrisons follows the course of the railway, the later sidings now being occupied by Morrisons and its car park. To the south of Hilheads Road the alignment can still be followed as a property boundary fence. Whitley station was to the west of this fence line. Looking north-west from the Hillheads Road level crossing. The line of trees is on the track bed. The later sidings were to the right where Morrisons store and car park can now be seen. 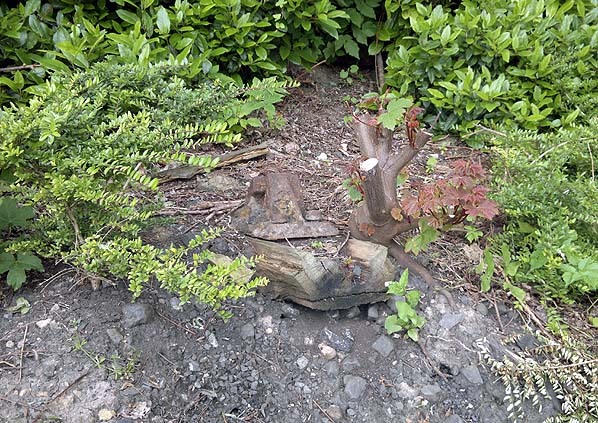 In a number of places buried sleepers can still be seen in the undergrowth along the edge of Morrisons car park to the north of the station site. This picture is July 2012.